Transmission Electron Microscopy (TEM) was born in 1931, but did not exceed the resolving power of light microscopy until 1933. With continued development, the first TEM, became commercially available in 1939, with the first US-built TEM introduced in 1941. Routine TEM use for research began primarily with biological applications, in the 1940s and 1950s. This was largely due to the need to have thin samples to examine, to allow the beam to pass through the sample. Since histological techniques were relatively mature technologies, the transition to even thinner sample cutting (from microtomy to ultramicrotomy) was a logical next step, as was the development of ultrastructural staining techniques, analogous to histological staining. By the 1960s, other non-biological materials were also under investigation as preparation techniques were developed to routinely produce sample sections thin enough to permit the electron beam to penetrate the material. 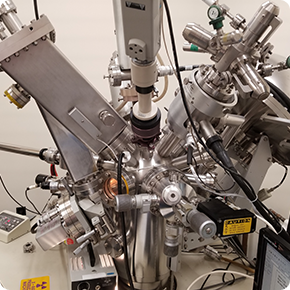 As electron optics improved and beam accelerating voltages increased, image quality, types of analytical information (in addition to imaging) and resolving power also increased. Throughout the 1970s and to the present, TEM has regularly been used to analyze metals, materials and structures of semiconductor devices. Thin sample preparation methods have included ultramicrotomy, polishing, chemical etching and Focused Ion Beam (FIB) milling. As one of the first preparation methods for TEM (originally for biological samples), ultramicrotomy can be used to cut ultrathin (40-60+/- nm) to semithin (>75 nm – 150 nm) sections for various materials. A glass or diamond knife is usually employed, and the required – or achievable – section thickness is often dictated by the nature of the material being sectioned as much as the structural information that is desired. Often some type of thermal, chemical or staining process is required before the material can be successfully sectioned. Focused Ion Beam (FIB) systems have been available since the 1980s, and have become the preferred preparation method for relatively rapid production of thin sections (often called foils or lamellae) for TEM imaging and analysis. Because the FIB Because the FIB combines the capacities to mill into materials with great precision, deposit metal onto surfaces (for surface, edge and layer preservation), and image like a scanning electron microscope (SEM), it is the perfect choice for locating, isolating and removing relatively thin slices of material from a bulk sample, then thinning that sample to dimensions necessary for TEM analysis. As critical dimensions shrink across an increasing number of applications, selecting the best tools for each analysis has remained a focus of Analytical Answers. Our full complement of preparation and analytical instrumentation continues to grow, focused on the needs of our clients and allowing us to get you “The information you need … when you need it”.